There are travel journals and then there are travel journals. Back to that in a minute. Stacie Rife is a mixed media collage artist from the state of Washington- and is extremely talented. She has the Bailey’s Bliss website where some of her work is on display. It is definitely a place worth spending some time and, if interested, she sells some of her work on eBay. You’ll be impressed. Then there’s this travel journal. I first became acquainted with Stacie’s work while doing a random Google search looking for journals. I clicked on Bailey’s Bliss and discovered her travel journal that really impressed me. 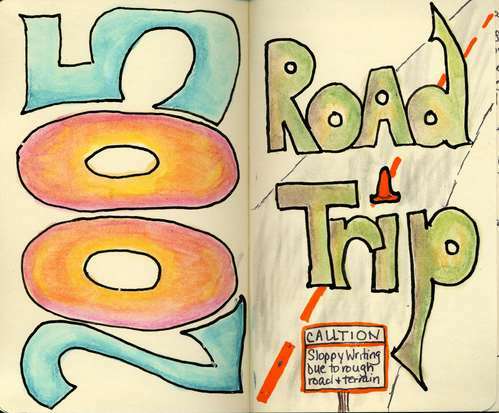 Clicking here will take you to page one and you can click through the 37 pages and find out what can be done with a vacation, a Moleskine, some pencils and talent like Stacie Rife’s. Nice work.